Front And Back Screen Guard. Full Body 360 Protector Provides Complete Protection. PET Coated Layer Buff Screen Full Body 360 Protector Screen Guard Adds Extra Protection Which Prevents Your Smartphone Screen From Scratches And Also From Any Sudden Mishaps. Guard is in High Glossy TPU Oil Coated Buff Screen Full Body 360 Protector Is Precisely Made To The Perfection Of 0.3mm Thickness. 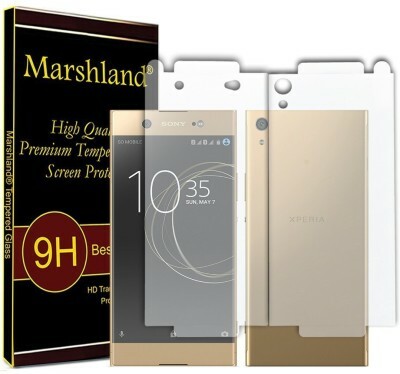 Case Creation Screen Protector TPU Oil Coated Buff Screen Full Body 360 Protector Is Specifically Designed To Align Properly On This Smartphone And Gives Ultimate Protection To Your Mobile Screen. Simply align the protector with your device and a simple swipe of your finger adheres the protector to your screen-High Definition clear screen protector with 99% clarity keeps the screen looking like new -Anti-oil coating, avoid smudges and reduce the fingerprints Anti-oil coating.